What does investigation of Silver mean for tenants? 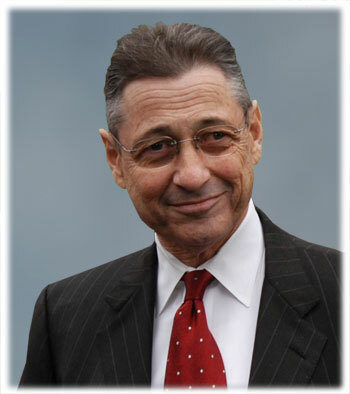 Following the news that last week that Sheldon Silver, the longtime speaker of the Assembly, is being investigated for mysterious payments received for his non-legislative work as an attorney, what effect this may have, if any, on tenants, remains to be seen. Silver and the Democrat-led Assembly have been supporters of the rent laws, which are up for renewal this year. Last Monday, the New York Times reported how Silver is being investigated by federal authorities over substantial payments he received from a small law firm, Goldberg & Iryami that seeks tax reductions for different properties in the city. The investigation over the payments, made over a period of a decade, is to determine precisely what kind of work Silver, a personal injury attorney, did since he isn’t known to have experience in challenging real estate tax assessments, the Times said. The payments weren’t listed on his annual financial disclosure forms. The investigation began out of work done by the governor’s now defunct Moreland Commission. A spokesperson for Silver did not respond to a request for comment from Town & Village on the investigation. There was also no response to our question of what, if anything, the speaker plans to do to strengthen the rent stabilization laws that are up for renewal this June. Meanwhile, Mike McKee, treasurer of TenantsPAC (Political Action Committee), said he thinks it’s too soon to predict if an investigation of Silver could weaken the position of Assembly Democrats. “It’s hard to say; Shelly’s been investigated before many times,” said McKee. Silver, who made it through a coup attempt in 2000, was also more recently under scrutiny for authorizing hush money payments to staffers of former Assemblyman Vito Lopez, who said he sexually harassed them. McKee added that he was far more concerned about whether Silver will choose to push meaningful, tenant-friendly legislation that won’t die in the Republican-controlled Senate, specifically vacancy deregulation. “The real question is he’s going to use going to use leverage on our behalf.” The leverage McKee was referring to were laws the real estate industry wants passed like the extension of J-51 and 421-a tax breaks and property tax caps, which the governor wants to see — along with a budget passed on time. McKee noted that there’s been some talk among legislators that Silver plans to retire once he officially becomes the longest serving speaker, which would be next year. As to the issue highlighted by the investigation of whether or not legislators should be allowed to hold jobs outside of their roles in office, McKee said he doesn’t believe they should. Or, he said, at least there should be limits on how much they can earn. The amount reportedly earned by Silver in 2013 for his legal work would be $650,000, more than five times the amount of his legislative salary of $120,000. “It’s staggering to think about the amount of money here,” said McKee.